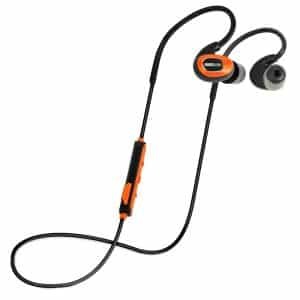 Best Bluetooth Hearing Protection Reviews: Top-10 in 2019! Home » What Are The Top Rated Bluetooth Hearing Protections? This model allows you to stream audio you like from your smartphone, tablet or other mobile devices. With these headphones, it’s possible to stream music to the internal speakers or have a call. Music playback time – over 10 hours; Talk time – over 10 hours; Standby time – over 240 hours. Hearing protection devices ort HPD’s basically covers for the ear. 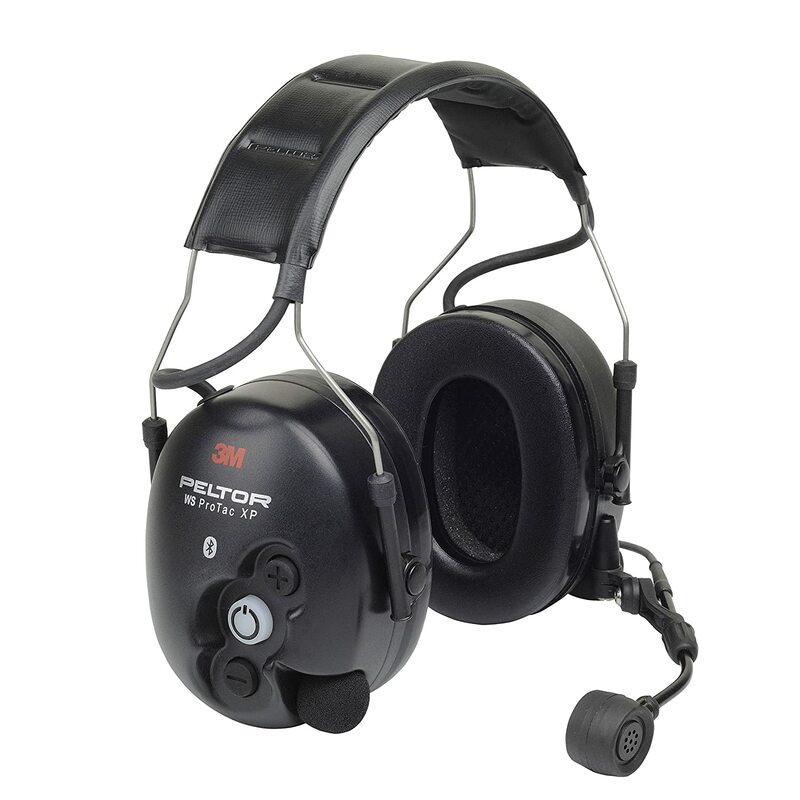 However, a simple earmuff is not enough, especially in certain work environments such as airports, construction sites, and even racing tracks. 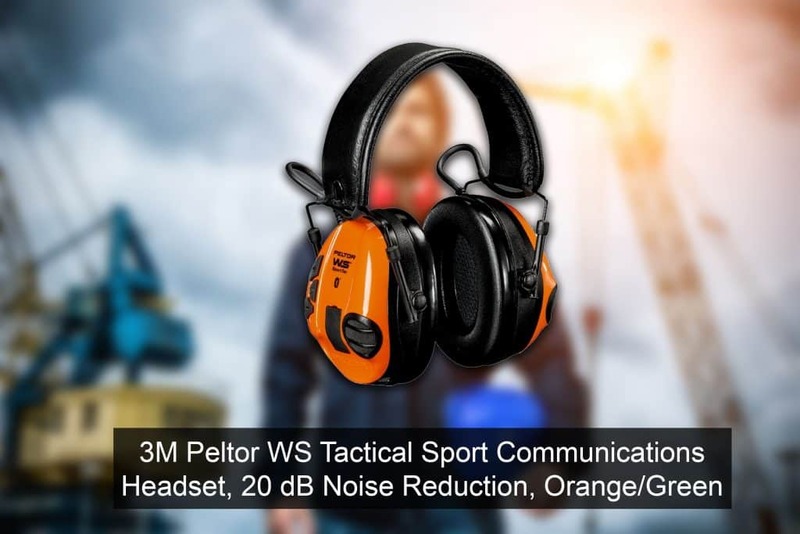 Anywhere there are high noise levels that impede communications as well as prove to be unhealthy requires the use of an ear protection device. 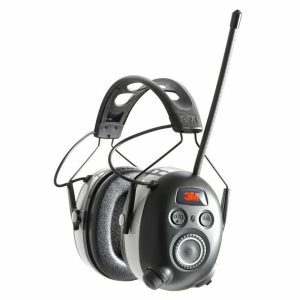 For assuring communications, these devices require that the wearer can hear and reply to other team members, as such, hearing protection with Bluetooth, or what is known as Bluetooth earmuffs are used. 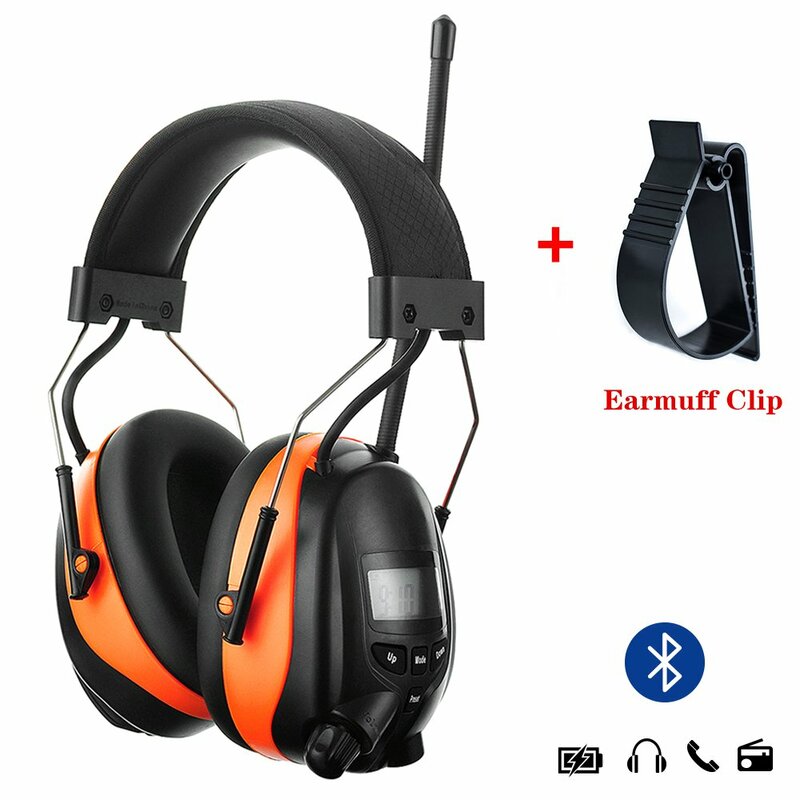 Bluetooth ear protection is essentially an earmuff with headphones and a microphone attached in some cases that will enable the wearer to communicate with other team members as well as listen to music or use the earmuffs as a connection device to their smartphone. 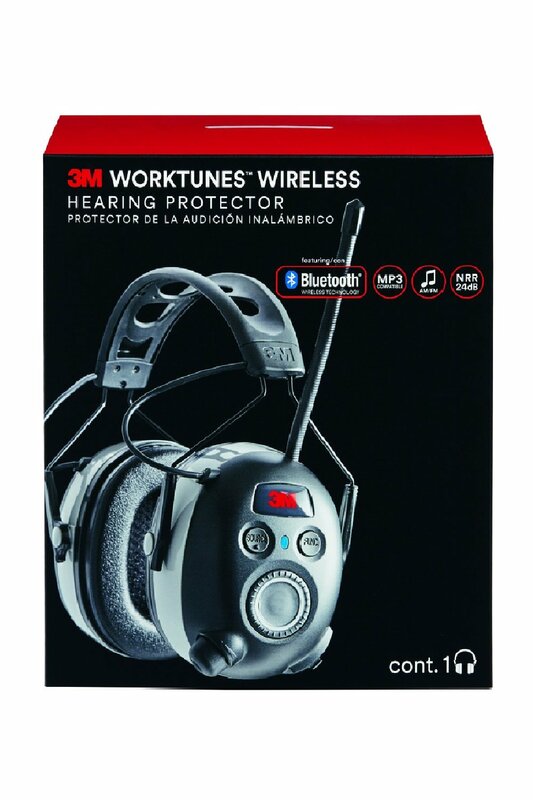 The 3M™ WorkTunes™ Wireless Hearing Protector with Bluetooth® Technology is the best noise-cancellation ear muff and Bluetooth hearing protector on the market today. This is the flagship of all protective devices and is the one to strive for. 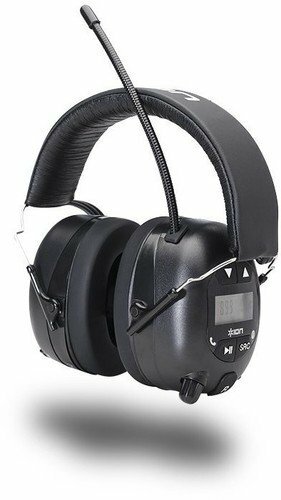 This model comes in an earmuff design and not a bud design, it is going to cover your ears completely and uses a classic time proven frame for secure holding on your head and over your ears. This model comes with a Noise Reduction Rating (NRR) of 24 dB and uses Bluetooth® Technology for a seamless stream of entertainment from your mobile phone and any other Bluetooth® enabled device. This unit gives you the control over your Bluetooth® enabled device right from your headset and comes with excellent AM/FM radio performance that transmits clear sound and bass boost options. There is an Audio Assist Technology built into the headset, and this provides operational and set-up guidance without removing the headset. This technology helps you program up to 50 AM/FM radio stations and warns you of a low battery. To assure a perfect experience, this device comes with integrated Safe Volume Control Technology that lets you increase your volume but automatically adjusts the levels for safe listening over prolonged periods of time. Among the many features of this device, you get Easy-to-use controls that are placed conveniently no your headset for easy reach, and the vented headband design comes with removable padding for versatile and adaptable comfort. There is also an Automatic shut-off that is designed to save on battery life; alkaline batteries have an 8-hour lifespan. The volume temporarily mutes when you get or make phone calls and receive messages. This device works best when you are within 25 feet of the transmitting Bluetooth device. However, you have an audio stereo jack that lets you connect directly for a more powerful and direct connection. This model is 3.98” wide, has an overall height of 8.46” and is fully adjustable. OMG, what a buy, what a sensation and what an amazing noise is reducing Bluetooth operated earmuff set. The price is great for the quality youx get, and anything else is just less than this model. The ION Audio Tough Sounds™ model is another exceptional model, coming in at second place on this list. This model gives you an effective Noise Reduction Rating (NRR) of 25 dB and comes with a built-in AM/FM radio. 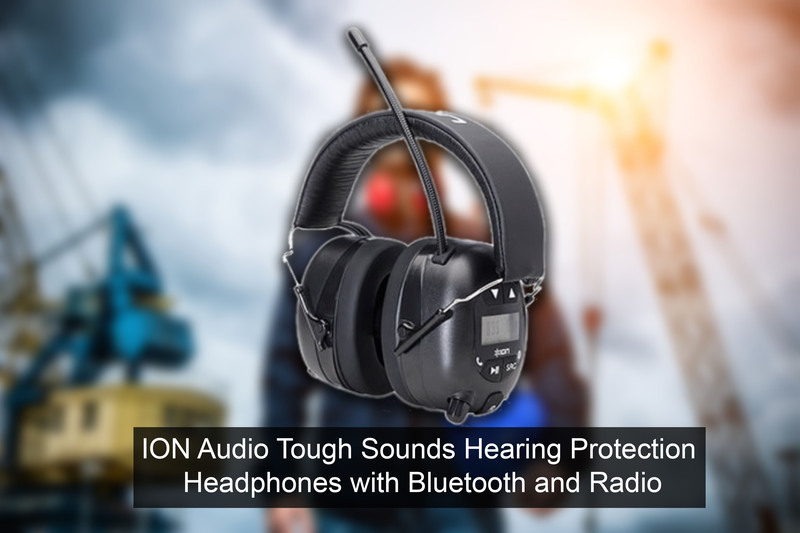 The ION is made from very durable materials, and the earmuff design gives this model total ear protection, total noise reduction and great Bluetooth connectivity with AM/FM radio too. The Bluetooth technology of this device will connect to any mobile or other Bluetooth activated source, and this model comes with internal lithium-ion batteries that give you 20 hours of continuous performance between recharging. This model recharges via USB, and there is a 1/8” stereo jackthat allows you to connect this ear muff to any sound source directly. This is an amazing device; it’s a true work of art that delivers clear tones and lets you converse while busy working, driving, or just doing whatever you are doing. 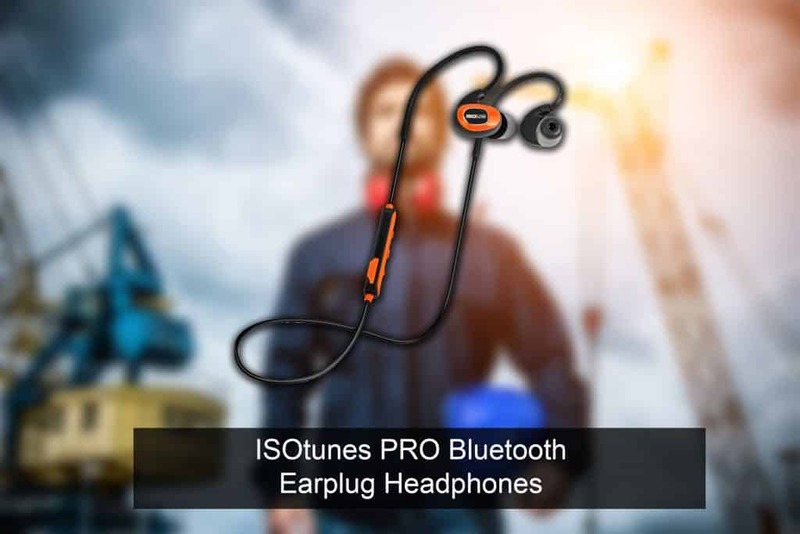 The ISOtunes PRO Bluetooth Earplug Headphones are ANSI-certified for 27 dB Noise Reduction Rating (NRR) which is incredible for earplugs. These are not full ear-muffs but perform with an identical level of confidence and give you 10 hours of continuous music playback and talk time, with 240 hour standby time. These buds are designed to cancel out background noise to a 27 dB level, while protecting your ear from the overloud transmission, limiting the phones to 85 dB. 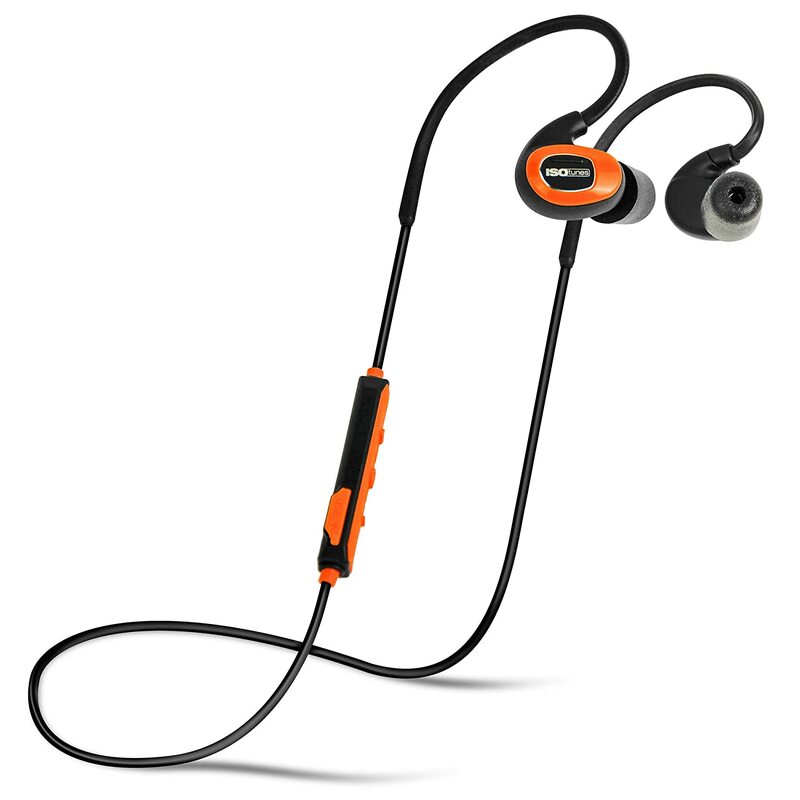 This model comes with aptX® high definition audio playback that delivers clear and precise tones, These are also IPX4 water and sweat proof and come are Bluetooth 4.1 + EDR, compatible with all Bluetooth-enabled devices. This is a compact earbud model that comes with a price for the size but delivers exceptional protection. This is perfect for bike riders that need to wear a helmet, or individuals that prefer a lightweight solution over the bulkier ear-muffs. 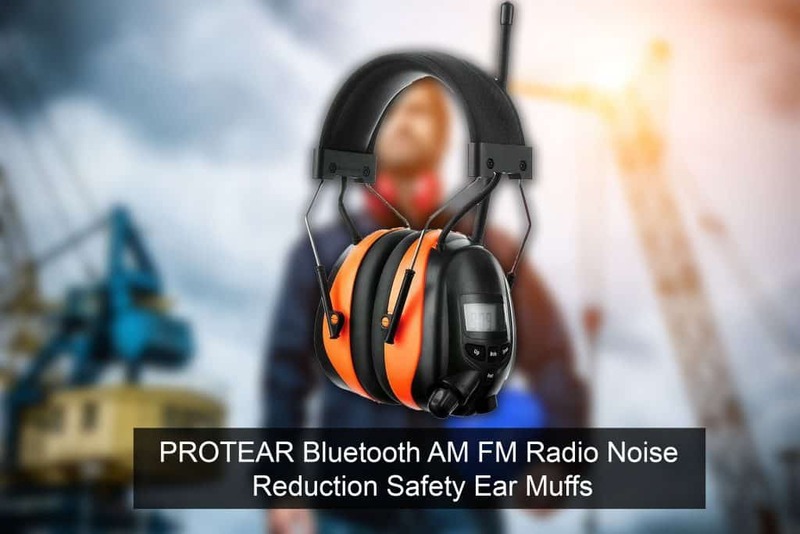 The Protear Bluetooth noise reduction ear muff is another comprehensive model that delivers exceptional noise reduction performance while providing a lot of features and functionality beyond noise reduction. This model gives you a Noise Reduction Rating (NRR) of 25 dB and has a built-in AM/FM radio with an integrated microphone to answer incoming calls. The Bluetooth technology connects to all mobile devices and can link to a PAN. The Protear comes with an easy to use headset control, and the ear cushions and overall design are for adjustable maximum comfort with a low profile and low weight. Auto search and frequency scanning function. Rechargeable battery with 8 hours lifespan. This is a very comfortable and streamlined model that sits well on the head and provides 8 hours of continuous radio or communications. The Honeywell Howard Leight™ Sync® Wireless Earmuff is a work of art in the Bluetooth ear muff market. This model is designed for heavy-duty performance and is found on many a race track, airport and wharf where loud sounds are canceled out providing an easy and uncorrupted two-way communication. This Howard Leight™ Sync® Wireless earmuff model is the first model in their Howard Leight Sync family portfolio. The design features rugged construction for heavy duty area working environment, with exceptional communication solutions that fit in seamlessly with a PAN or mobile Bluetooth system. This model comes with easy push-button connectivity that pairs easily with any mobile device via Bluetooth® and has integrated volume control buttons and a rugged boom mic with a windsock, for voice clarity in high noise environments. This is an exceptional model, slightly costly when compared to the 3M, and doesn’t have a built-in AM/FM radio which is an advantage for industrial applications. This is a tank, yet is lightweight too, so you get the advantage of a rugged Bluetooth noise reduction ear muff together with great microphone performance. 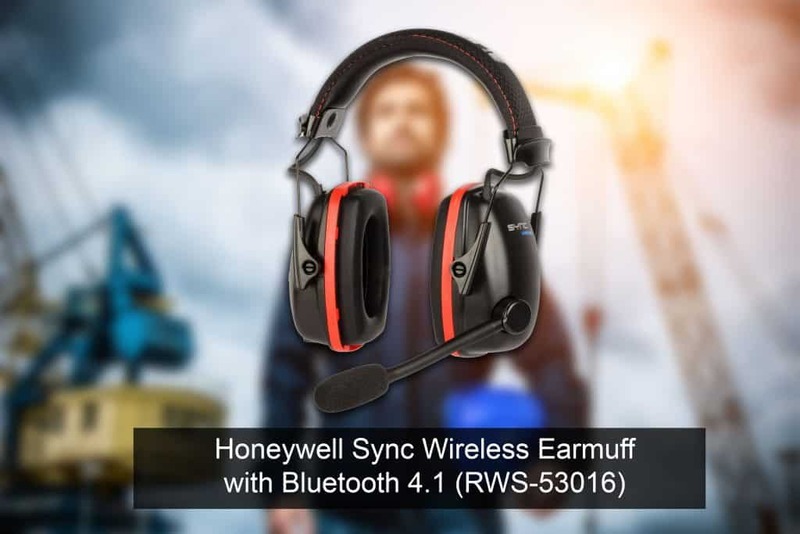 This is another variant of the Honeywell Howard Leight™ Sync® Wireless Earmuff and is a workhorse model Bluetooth ear muff market. 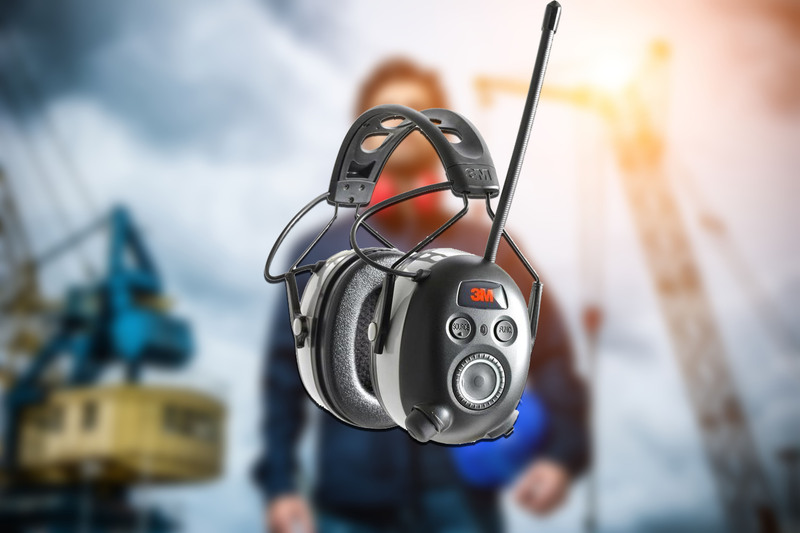 This model is designed for heavy-duty performance and is found on many a race track, airport, and wharf where loud sounds are canceled out providing an easy and uncorrupted one-way communication. This Howard Leight, ™ Sync® Wireless earmuff model, comes with rugged design features for the extra heavy duty area working environment, with exceptional communication solutions that fit in seamlessly with a PAN or mobile Bluetooth system. This model delivers enhanced bass sounds and comes with easy push-button connectivity that pairs easily with any mobile device via Bluetooth®. It also has integrated volume control buttons. You also get an AUX Input jack and cable and patented Air Flow Control technologythat keeps your ears dry and moisture free when sweat starts to accumulate. This is another Honeywell triumph and is their low-cost model for inexpensive Bluetooth connectivity. The Xcel is a hunter’s headphone that comes with exceptional noise reduction properties and Bluetooth connectivity. What you get are the latest micro-sized Digital Circuits with Bluetooth Connectivity and a Variable Dynamic Sound Suppression system that integrates a Hi-Gain Omni Directional Microphone. There are Four listening modes that include: Universal, Speech Clarity Mode, Hi frequency, and Power Boost. You get exceptional control using their Voice Mode Navigation that gives you Wind Noise Reduction with an Auto shut off. This new model features a new ergonomic headband design with all the controls moved to the headband. You also get fewer holes in the muff cups to improve NRR, and there are rubber bumpers on lower cup. This model gives you a low battery warning too. This is a nicely priced simple yet effective Bluetooth headset designed for outdoor activities such as hunting and shooting, giving you two-way communications. Not everything here is for adults only, and while you might need ear protection from loud sounds as an adult, think about your children too. 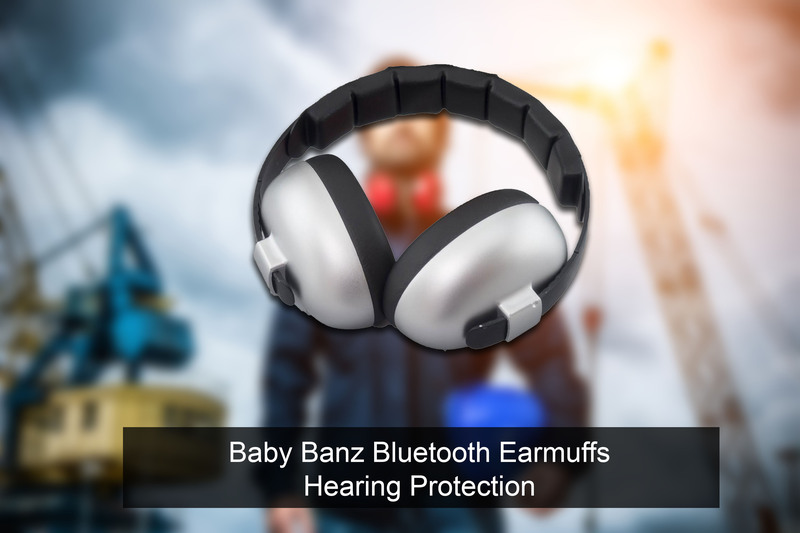 That is why I found this unreliably amazing BanZ infant earBanZ with Bluetooth® for toddlers aged 1 day to 2 years old. These are the first ever Bluetooth® enabled headset for infants and come in a child’s size for delivering perfect ear protection while soothing the baby with delicate tunes through the Bluetooth system. This model comes with specially designed features and materials for a safe and comfortable fit over your child’s head. There is a childproofed on/off switch that makes sure the wearer won’t turn off the sound, and the sound emitted by the speakers is limited to a maximum of 75 dB. The materials and design specifications reduces outside sounds to SNR 26dB, and it comes with a quick and easy pairing with Bluetooth® enabled devices. This is the ultimate in child audio protection, and not only does it double as a noise reduction, it allows you to play music or let the child watch on a mobile device while connected to the headset. 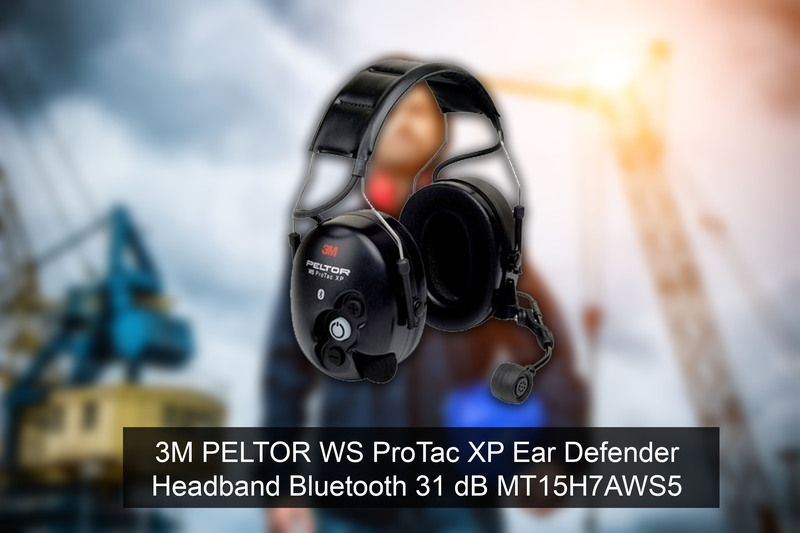 The 3M™ Peltor™ WS™ ProTac XP is another exceptional 3M device that provides the industry’s leading performance characteristics. This version is for manufacturing industry locations and comes with exceptional two way communications combined with the best noise reduction features on the market. This model uses Bluetooth technology for DECT or mobile phones, and the environmental ambient listening function adjusts the surrounding noise allowing the user to converse with colleagues. The 3M™ PELTOR™ WS™ ProTac XP connects to a Bluetooth device such as a mobile phone and to a secondary device, using the mating FLEX Connector to monitor two sources. It is also designed to allow the user to communicate face to face without removing the headset. This exceptional model provides absolute protection, is versatile, and easy to control and has an NRR rating of 27dB. Voice microphone includes VOX (Voice Operated Transmit) for hand free communication. External Jacket for optional 2-Way radio connectivity. 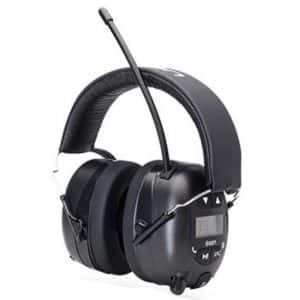 This is the best headset for manufacturing site operations where multiple sounds sources operate simultaneously, and the wearer needs to communicate with more than one person at a time over different communication methods. The 3M™ PELTOR™ WS™ Tactical Sport™ Headset is a bespoke headset designed for tactical sport use. This model variant has a streamlined tugged well sticking feature that maintains the headset firmly over your ears and reduces the impact of sudden loud sounds. This model, the 3M™ PELTOR™ Wireless Series Tactical Sport™ Headset with Bluetooth® Wireless Technology comes with an adjustable volume control, so you can eliminate surrounding low level sounds while automatically protecting against unhealthy sudden loud impulse Noises. To assure that the wearer is does not damage his/her ears with loud transmissions, the speakers are limited to 82dBA. This variant is used for firing ranges, explosive engineers, and hunting. The loud sudden reports from the gun fire are reduced to a minimum, while the Bluetooth connectivity gives a free flowing tow way communication, or the ability to listen to music while in the field. The controls are located in the headset, so the wearer does not need to remove the unit while wearing it, and any music is reduced when incoming calls are received. It comes with a built-in speech microphone that uses DSP algorithms to electronically filter out the background. The 3M™ PELTOR™ WS™ Tactical Sport™ Headset has an extremely low Noise Reduction Rating (NRR) of 20 dB and is lightweight for all day use, weighing only 12.4. This headset runs on two AAA rechargeable Ni-MH batteries and lasts for 8 continuous hours between charging. Connects to Bluetooth® compatible devices for cell phone audio and streaming music. A2DP, HSP, and HFP compatible. This is the best headset for hunting and gun applications, and is exceptionally quiet, providing a 20dB NRR condition, but comes with a rather high price tag for the level of quality and confidence this product provides. Consider that there is noise canceling ear muffs for sleeping, noise canceling ear muffs for studying and a plethora of noise canceling ear muffs from Walmart, Amazon, and other large e-commerce sites. As such, it is important to be able to sift through all the weaker products and find the best Bluetooth ear protection devices, and this is what I have done for you. Bluetooth or Electronic hearing protectors are usually anywhere from being twice as expensive to ten times the cost of basic passive noise canceling earmuffs. Passive noise canceling earmuffs use sound-absorbing foam to reduce sound levels that are either harmful or distracting while focusing on a task. 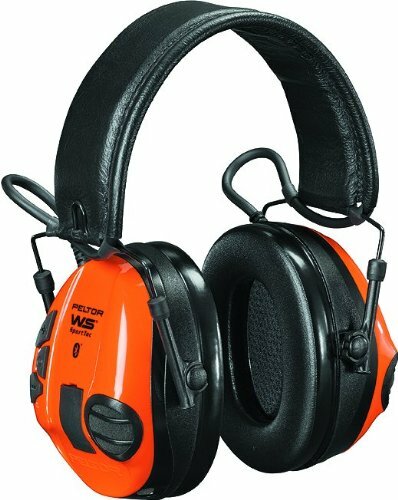 Bluetooth earmuffs offer the best hearing protection due to their unique construction and performance. 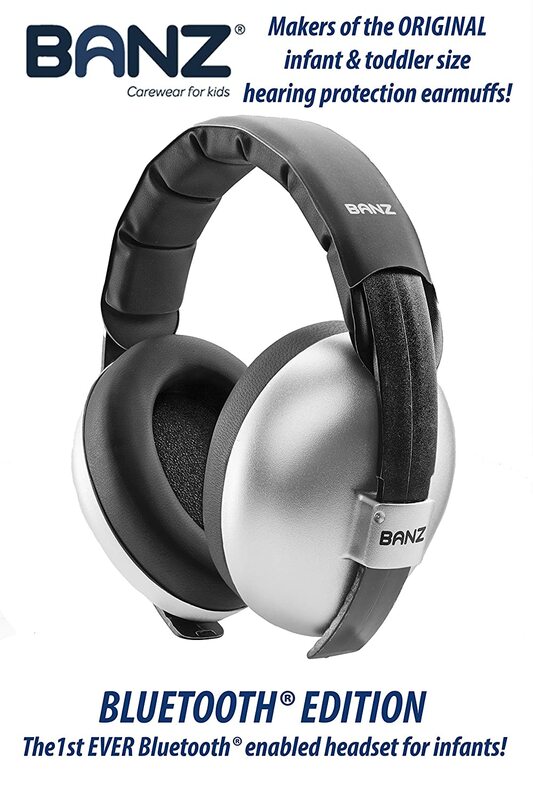 These devices combine the noise canceling materials found in the best ear muffs, together with the dedicated electronic circuitry required to connect a communications system, a mobile device and an AM/FM radio to the wearers head. The protective foam is what cancels out the external noise, and the internal speakers generate enough power to deliver a non-painful amplified sound so that the wearer only hears what is being broadcasted and none of the outside noise. When the device is switched off, it becomes a basic noise-canceling earmuff that has electronic circuitry and cost a lot to buy. 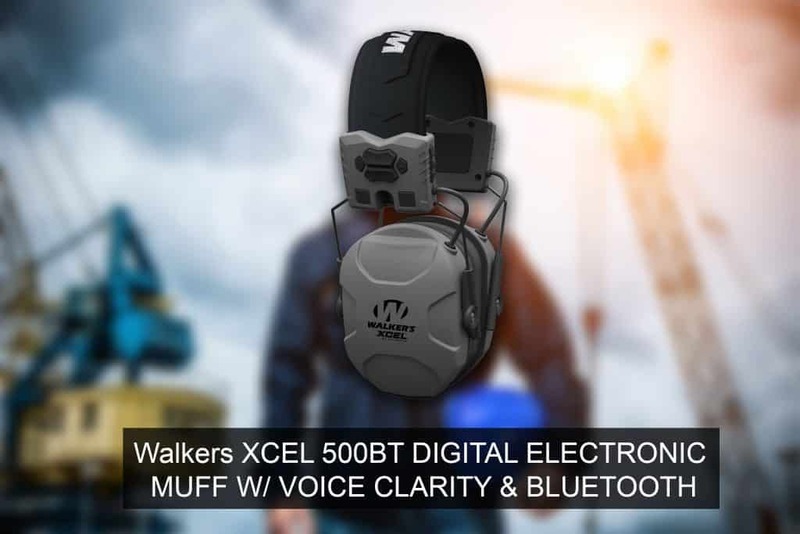 Bluetooth ear muffs are usually battery operated, although some come with rechargeable battery packs allowing you to connect them either via USB or to a direct power source for recharging or for power during use. 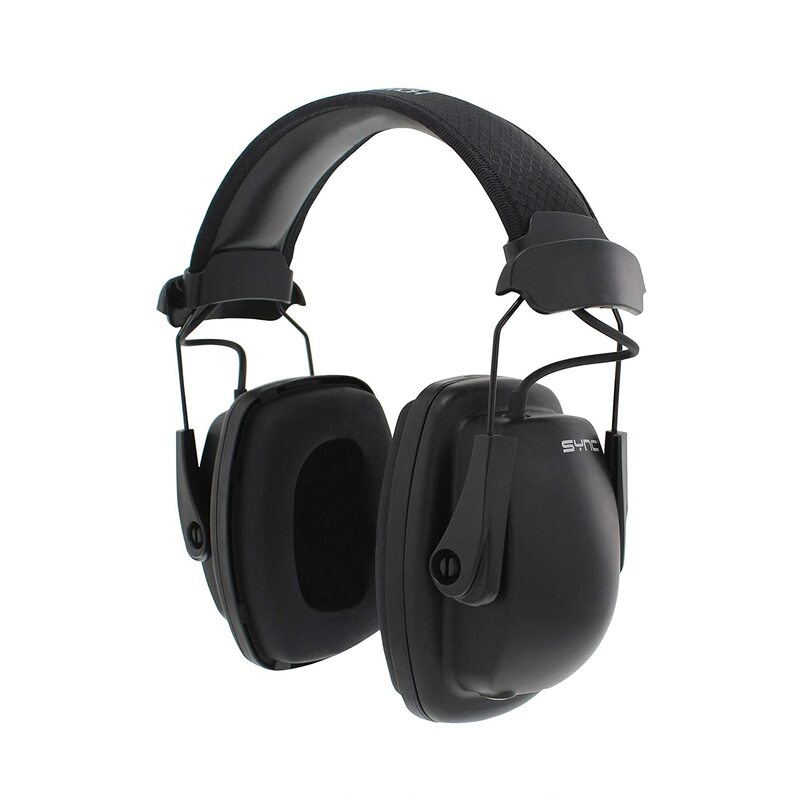 The three most popular wearers of Bluetooth earmuffs include hunters and shooters, bike couriers that have them built into, or fit into their helmets, and loud noise workers such as airport workers on the runways, forklift operators and line workers in busy foundries and heavy-duty manufacturing sites, as well as workers in printing presses and automated logistic centers. You will also see them being used on race tracks providing communication between the driver and the team. Bluetooth is a wireless technology standard for short distance data exchange. Bluetooth transmits using short-wavelength UHF radio waves in the ISM band from 2.400 to 2.485 GHz. These are transmitted and received from fixed and mobile devices, as well as in personal area networks (PANs). Today, the Bluetooth standard is managed by the Bluetooth Special Interest Group (SIG). This group is comprised of more than 30,000 member companies from telecommunication, computing, networking, and consumer electronics. Now let’s take a look at the ten best hearing protection devices, including three 3m worktunes Bluetooth noise canceling ear muffs. Bluetooth headphones are all the rage now, after spending the better part of a decade as a niche restricted to tech enthusiasts. Now you can find an incredible variety of Bluetooth headphones on electronic store shelves, and even more online. But as with almost all product categories, not every set of wireless headphones is created equal. A2DP is the basic Bluetooth stereo streaming protocol. A2DP stands for Advanced Audio Distribution Profile, which is the name it received when Bluetooth first came out and sought a title. This is the standard format for all devices and is the audio default you will see mentioned in most applications. This also means that it is the fall to code when a device transmitting cannot connect using APTx, the A2DP will connect. A2DP is a stereo standard and operates with a sub-band coding (SBC) codec that supports up to 345 kilobits per second at 48 kilohertz. For audio buffs, this means that A2DP enables sound quality equivalent to a high-quality MP3 recording. However, there is “lossy” compression involved too with SBC codec, so you really get the sound transmission in the range of 256kbit/s. Now, consider that most Bluetooth manufacturers do not make high-quality audio transmission systems, the A2DP’s 728kbit/s capabilities are limited to receiving compressed formats like MP3, AAC, or ATRAC, and doesn’t need to be re-encoded in SBC in order to broadcast from the source device. Qualcomm, the mobile chip maker, bought CSR and its aptX tech back in 2015. What is aPTX? It’s a compression standard similar to SBC or MP3 with one difference; it’s better. This codec is designed to work within the limited bandwidth and low power available to Bluetooth devices. Essentially, what this aptX does is it squeezes the audio frequency and range to fit into the limited A2DP data pipe. To be blunt, all aptX does is add a bit of spice to the A2DP which improves on the overall sound and tone of the transmission. As such, an aptX device will deliver clearer sound, and with music, there is a marked difference. When it comes to standard two-way communications, aptX will give hunters that need to whisper an advantage when speaking to other members of the team. For industrial purposes, the A2DP is more than enough. Also, aptX requires that both the transmitter and the receiver support the codec. Consider that buying any bad device will ruin your enjoyment, now multiply this with a device that has to deliver a noise-free environment, as well as give you curated sounds for communication or entertainment. Essentially, blocking out loud background noise while providing clear focuses desired sounds. This means you need to consider the construction and comfortability of the design, as well as the level of electronic integrity provided. There are a number of considerations to take into account when investing in a pair of Bluetooth ear muffs and these include location, application, configuration, and duration. Location is where you will use the headphones? Are they indoors, or outdoors? If outdoors, what are the weather conditions like? In general, indoor headphones, even in the loudest of environments can be lighter than outdoor applications, and less rugged, where they do not need to withstand the rigors of natural weather. Outdoors requires temperature and wind considerations, such as minus degrees to above 40 temperatures, as well as extremely wet and windy conditions. Each location sets the frame and structure requirements for the headset. For an application, consider if it’s for a work environment, a sport or tactical environment, or for general enjoyment. 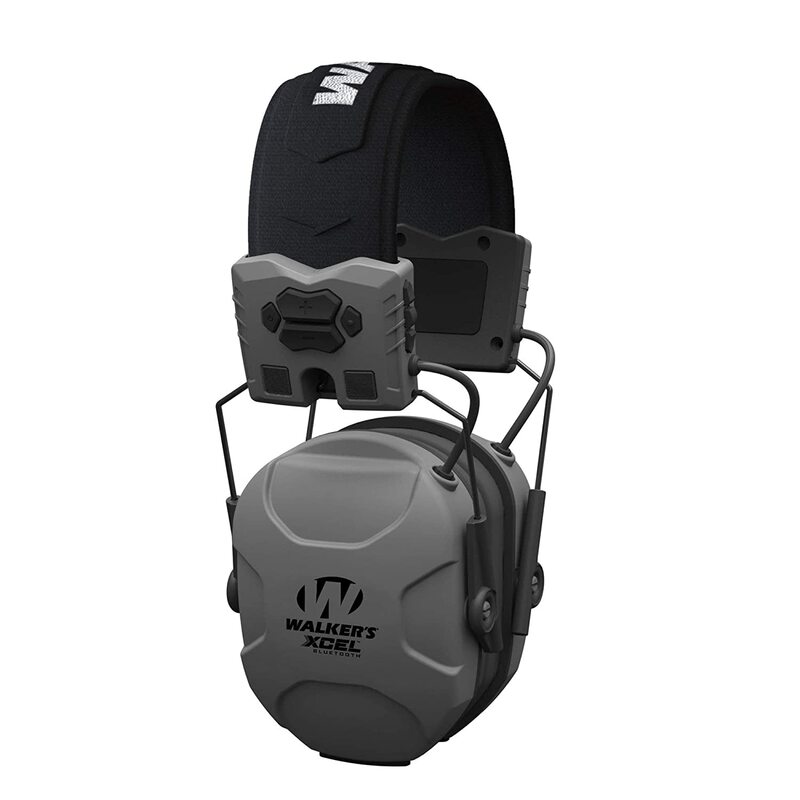 If you are running and shooting you will need a headset that is less prone to fall off than a headset that is used while sitting in a helicopter — application demands that the design features provide ample consistency of performance in any stable to unstable use. Configuration means how many people will you need to interface with, are you going to be talking to and receiving instructions, or is it only for listening to music while you work? Consider whether you need to constantly be in contact with other teammates, perhaps communicate over different methods to different groups, as well talk in person while operating machinery. The duration of use, is it for short periods of time or will you need to wear it for 8 hours or longer? There are a number of headset types, but they can be split into two structural categories, and from there into subgroups. 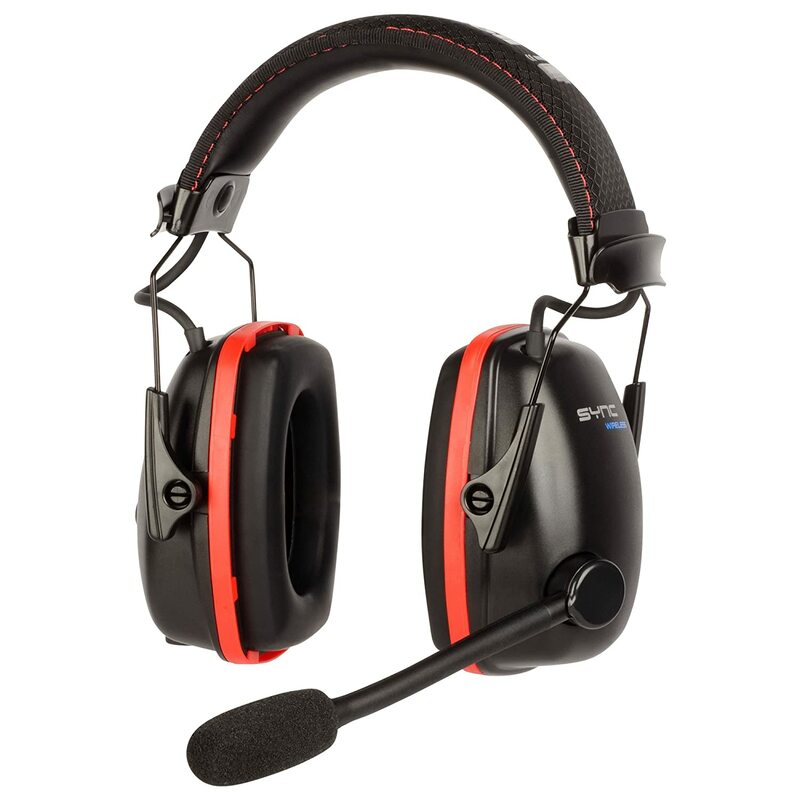 The first category is the full-sized headset for multiple communication in extreme conditions. These are full headsets that cover the ears completely and are designed to provide the ultimate ear protection for long-term use in all locations, environments, applications, and conditions. Compact headphones can be earbuds too, and these are compact and designed to fit into the year. They are great for wearing under hats and helmets, are perfect for a number of sporting applications but are less effective for continuous communication and heavy-duty conditions. With an increasing demand for clear communications, it’s not enough you have a receiver that lets you hear a voice, it’s also important for you to converse with others and this demands that your microphone be noise free too. As such, a double mic headset will cancel out background noise for providing good communications. Other upgrades in technology include stereo headsets that provide better sound actuation, and also provide you with excellent incoming call control delivering a clear sound through stereo speakers. HD audio is another upgrade that you would need for extreme environments, consider sitting in a helicopter or driving a racing bike, and you need to hear your team control clearly the first time. HD quality is designed to receive, transmit, and reproduce audio at the 16KHz frequency. Multipoint pairing is another option to consider, where you need to be able to pair with a lot of different devices, including mobile units and PAN’s simultaneously. The latest improvements come in the areas of voice control (such as Siri and Alexa), where you might want a system that comes with voice prompts and commands. As with all hi-technology communication devices, Bluetooth headsets come with a plethora of abbreviations and syntax, so here is a quick reference guide to make it easier to understand the specifications. Near-field communication technology (NFC) is a modern advancement that pair’s devices quickly, buy just placing them near each other. Advanced Audio Distribution Profile (A2DP) as explained above, is the basic Bluetooth codec. Audio/Video Remote Control Profile (AVRCP) is a standard interface for TV and audio devices that Bluetooth controls can provide to certain devices. Dial-up Networking Profile (DUN) is the service that enables you to dial up over the internet with Bluetooth. Hands-Free Profile (HFP) is succinctly put as a method where you don’t need to hold the device to use it. Essentially all mobile devices and headsets are HFP. Synchronization Profile (SYNC) usually comes paired with GOEP (Generic Object Exchange Profile) this means you can sync information between two paired Bluetooth devices. Object Exchange (OBEX) Protocol is a transfer protocol between two devices. SIM Access Profile (SAP) is a mode where the device can connect to the SIM in another Bluetooth enabled device and use it for GSM or other purposes. Well, that’s it for the technical data, now let’s jump straight into the list of the best Bluetooth ear protection device on the market today. There is no perfect set of headphones, there is the best set for your head and for your application, where the headset sits comfortably on your head and over your ears. Ally’s make sure you buy an adaptable headset that comes with good customer support, since the ear pads do tend to require replacement after heavy duty use. Maintenance is a must operation, always clean the ear pads with an alcohol rub after use, even if you only use it, and always secure the headset in a closed container to protect them from dust and damp when not in use. Never forget to charge between use, and I recommend you keep a spare pair of alkaline batteries nearby, just in case your pack runs out due to any reason. Final word about Bluetooth, this is no longer an emerging technology, it is an advancing one, if you war working within a structured organization, and they don’t supply you with the best fitment, investing in a pair requires you make sure that the technology you buy is compatible with the technology you need to pair with.